My first Olympic distance Triathlon and I loved it. Great course, perfect conditions and a race where pretty much everything went to plan. For Breakfast I had 2 slices of jam on toast, a strong coffee and then a banana an hour before my start. I had to ride 6 miles from where I was staying in East London so I was up just before 5am. My wave set off at 7:30 on the dot so the sun was just rising which made one length of the Hyde Park Serpentine a bit tricky to spot the buoys. I had to pop up a couple of times just to check I was still on track. I did pack both clear lens goggles and my mirrored lenses and glad I went with the mirrors. Calm water, just got my head down and swam at a constant pace which felt fine and was pleasantly surprised by the time I heard the commentator call. I never really know what to say about the swim! It’s dark murky water, all I can hear is my breathing and I just concentrate on technique. My helmet, race belt and Garmin were off the bike and laid across the floor. I’m not sure who or why my equipment had been moved about. It was a long 500m run up from the swim exit to T1. I found my bike easily enough and followed the steps in a video (above) I helped produce with Paul Savage recently on transition technique. Elastic bands on the shoes, running holding the seat, leaping mount at the line. Worked fantastically well! I’m delighted with my recent bike performance, backing up my Newby Hall Duathlon and Wilmslow Triathlon outings on the Cannondale with the Cole wheels. Averaging 23mph around Hyde Park and feeling really strong. It was the 47th fastest bike time of the entire day, which is something to build great confidence from. I took a Powerbar gel 5 minutes into the ride and also 5 minutes from the end. I had 1 x 500ml water bottle on my torpedo aero bar mount. A nice 5 lap course, with a touch of traffic, but nothing significant. Flat with a few speed humps and two tight turns. Fully closed roads so just get the legs pumping and work hard for as long as possible. Again, a textbook dismount and entry into transition. It was tight on the racks and someone had racked their bike in my place, so I had to shift a few things around to get near my shoes. No problem. I was on the with shoes and out on the run and feeling really fit. I had my run legs from the off and felt my bike had set me up for a good day if I didn’t blow up on the run. 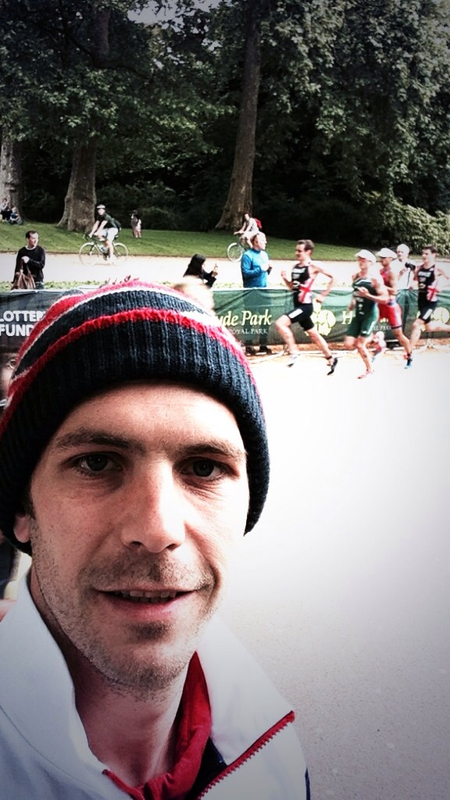 This 10k time is my out and out PB, which is fantastic to achieve in a triathlon. I had been feeling good about my running recently, seeing some vast improvements. I got a couple of fast miles in and then began to tail off, but all in good time. It was a 4 lap run around the Serpentine with a long-ish drag but by no means a hilly course. It was beginning to get hot in the day now, I just held on and tried not to let up although my calves were screaming at me. I paced it perfectly, crossed the line in a time I am delighted with and rounded off a great performance in terms of sticking to and over-delivering a race plan. Really happy with the result. I finished high up in my Age Group and also did well in the overall classification. My bike time being the stand out performance on paper, although it has to be my run that I personally take most gratification from. This was my final race outing until I head to the European Championship in September. It’s all sneaking up quickly but London was a great event to see where I am currently at. I didn’t mention this, but I was at a midweek wedding in Ireland which involved a few Guinness’ and a couple of servings of cake only a few days before! Happy days. It was good to make a weekend of it too. I went down on Saturday morning from Manchester and got registered and also watched the Elite Men Sprint Race, which Mola took out in fine fashion. It was cool to see these guys close up and burying themselves for the win. There’s 100 days to go until Challenge Almere and the European Long Distance Championships at which I will be representing Great Britain in the Male 30 Age Group. Can’t wait! I love training. Genuinely. I love tracking progress and seeing improvement and I also find it a great release from my job and it’s all going good. So with 100 days to go, I thought I’d start geeking out a little about the event itself. It’s Iron distance, with an Australian exit on the swim. A flat bike course, but has notorious winds, followed by a similarly flat run course, kissing the edge of Amsterdam. Like I said, it’s time for a geek out. I’ve looked up the historical weather of Almere over the same weekend over the last 4 years. Guess what time is in the envelope? So throwing caution to the wind (!) I have written down my personal thought on a finish time and sealed it in a black envelope and pinned it to my notice board. I’ll take this with me over to Almere and open it after the race and see how close I came to my prediction. I hadn’t done any long ride and run brick sessions. I was surviving ITB pain and only just getting back into my running schedule. I was having a great block of swimming and my times were solid, maybe even slight ahead of what I’m actually doing now. This was because of a large swim focus as I needed to work in this most and also running less. I’m not worried about this as Challenge Almere is 5 weeks later in the year than IMUK was (August 2013 / September 2014) so I have time and confidence to pull this swim time back. 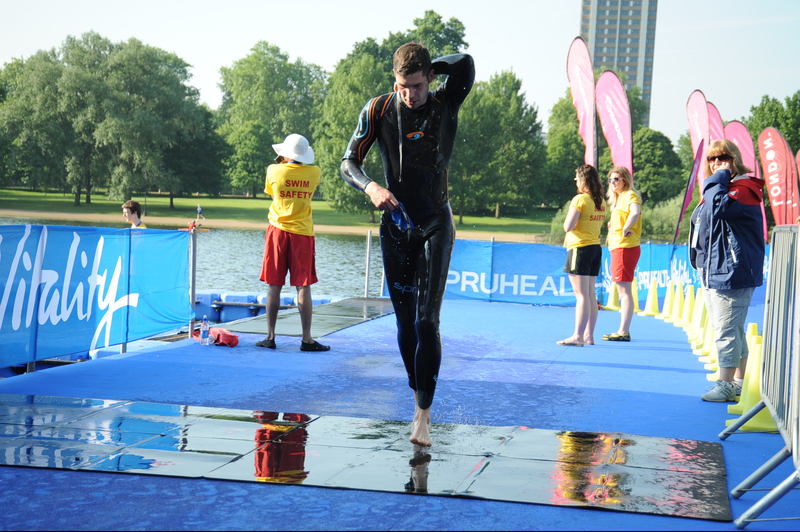 After London I also have that open water confidence that I can hold a good pace without tiring myself out. I also get that extra 5 weeks in the open water as the season will run to September and I’ll be getting the best of the water over the summer and then tapering when the water turns cooler into September. I’ve highlighted the average pace vs the average heart rate and it is good to see the HR coming down. I’m doing the same distance, at the same speed but it’s becoming clear that it’s not as much effort as it was. I have a great run base to work on, this is something I am delighted to see further improved from where I was last year. My bke has proved to be solid from my races so far this year at Newby Hall and London as well as sticking some really long ride and brick runs together already. So whats in the envelope? We’ll find out in 100 days time but any guesses yourself are welcome. There might even be a prize for the closest to! 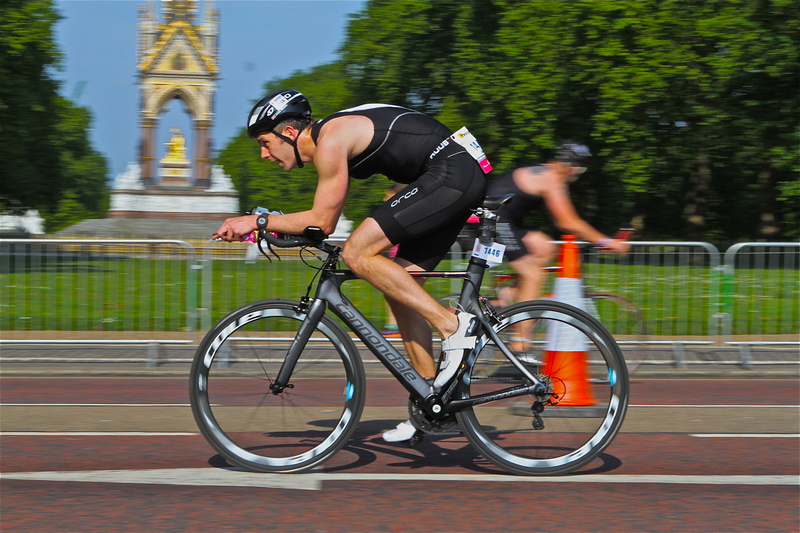 It’s just over a week until the PruHealth London World Triathlon. I’m really excited about this event. 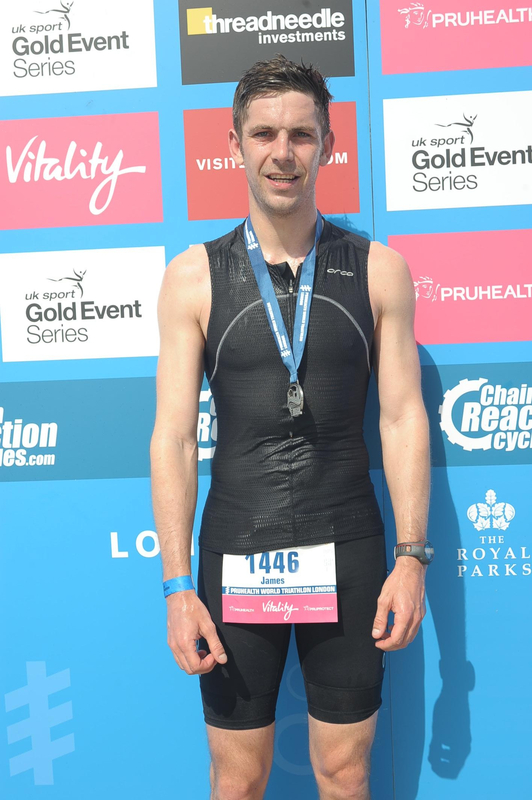 It’ll be my first ever Olympic distance race and the course will be a replica of the 2012 London Olympic Games Triathlon course and the pro’s will be battling it out the day before. I hope it’ll have all the feel of a huge event & should be stark difference to Wilmslow Sprint triathlon I did at the beginning of May. There are a few palaces in the backdrop of Wilmslow, but for all their money they cannot drive or show courtesy to anything happening in their community. That open road bike route was scary and annoying. London will be closed roads, and from what I gather also nice and flat! I thought Newby Hall Duathlon got a bad rap for being dangerous, but was far safer and a far better experience than the well established Wilmslow Sprint Traithlon. I entered a ballot to race in London and it has cost me £99. As I haven’t raced that much before I wanted to have a great experience. I hear a lot about this and how high it ranks on peoples choice of races. In my old motocross days it was all about getting a result and the race experience came from the battles you drew yourself into on the track itself. It could’ve been a muddy circular field but if you were in a battle it would have made for a great race or “experience”. 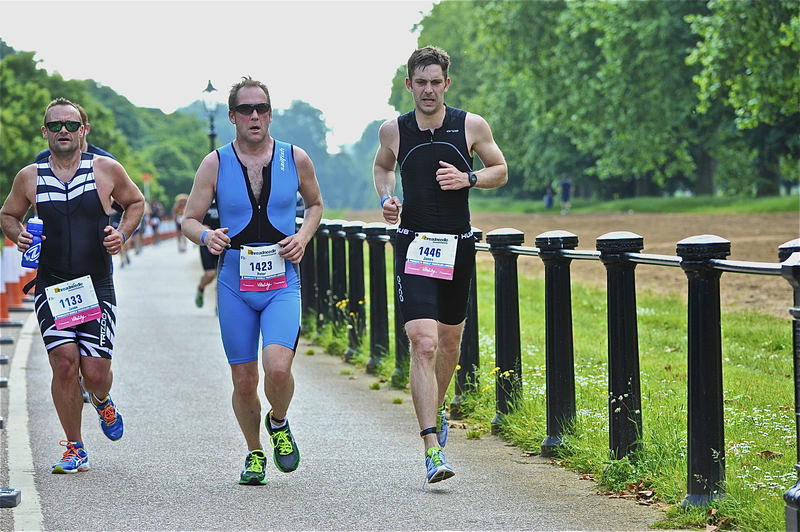 Triathlon seems to generate most of its enjoyment and pay off by the course selection, the route, the elevation, the crowds etc. 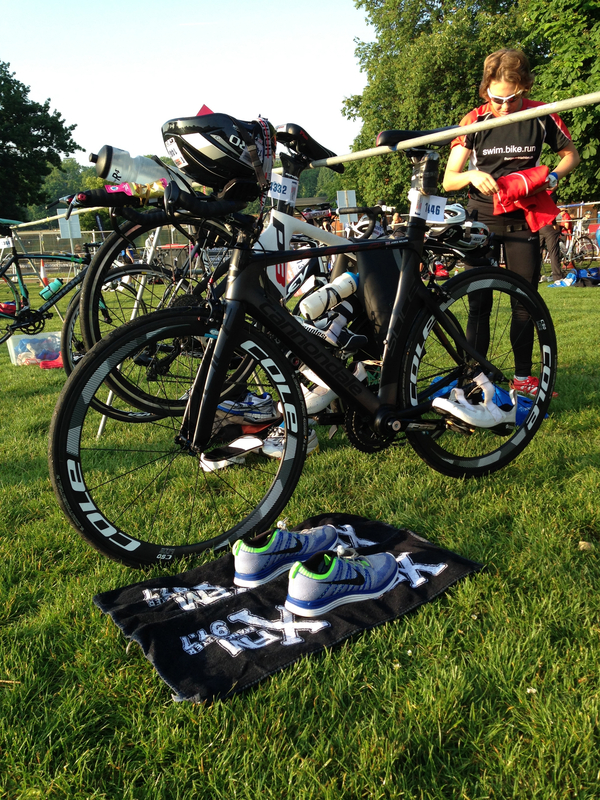 Ironman UK was a great experience because of the race. I had ridden the course many times in training and was accustomed to the hard bits, the nice bits and what to expect, but it was the crowd and it was the race element that made for a great experience. 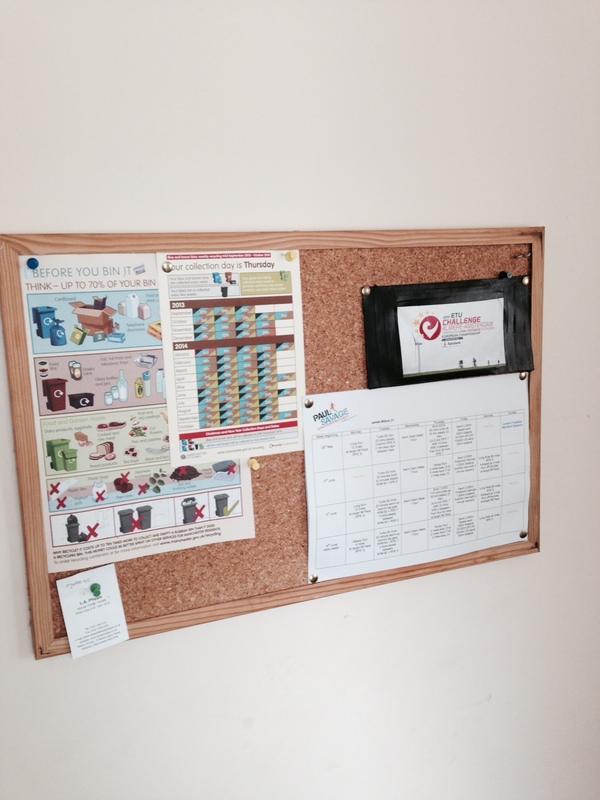 I have heard great things about Challenge and their focus on the experience. 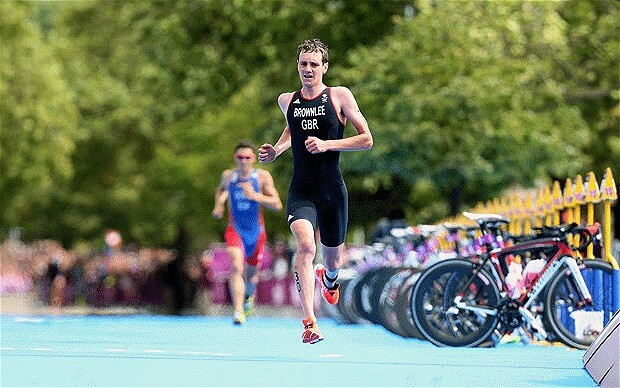 A recent podcast on IM Talk interviewed Felix Walchschofer gave a nice insight into how much he referred to the Age-Groupers being the centre of attention at their races. When I go to Challenge Almere I am looking forward to being part of this experience. This should also be a great event, a great experience, as it will be part of the European Long Distance Championship so will stand out as an event in itself. Do you have any ‘must-do’ events? Or any you swear you would never do again?